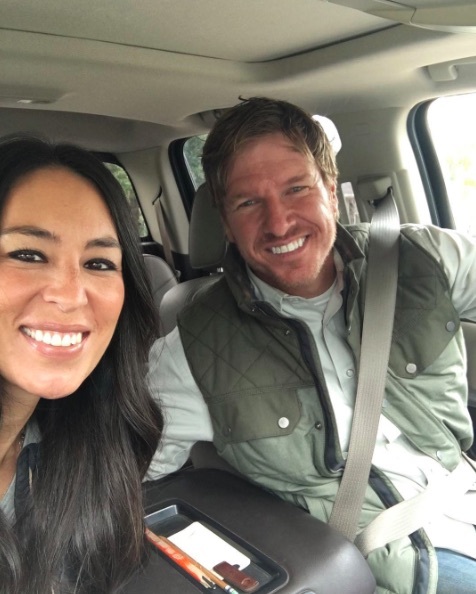 Even if you’re not wildly enthusiastic about home improvement, HGTV’s Fixer Upper boasts the appeal of the charismatic husband and wife duo Chip and Joanna Gaines — and hands down it’s one of our favorite shows right now. We just heard that Fixer Upper is officially getting a spinoff show, so ummmmmm…clear your schedule (not just yet, but soon)! This newbie will be a half-hour show called Behind the Design, captained by Joanna (the interior design guru of the team). According to The Hollywood Reporter, it will feature her “aesthetic approach to the show’s weekly renovations.” So much YES! Joanna’s portion of the renovations are admittedly our favorite part of the whole process, so a show all about it sounds like perfection. If you’re wondering when you can lay eyes on it, HGTV will air a preview on Tuesday, March 28th (as in five days from now. Yaaaaaaay!). Then more episodes are on the horizon for later this year. That’s all we know so far…but we are super excited and happy for Joanna! She works so hard on her designs, and we’re 100% obsessed with her aesthetic. And also, these two humans always get our vote, because while they’re serious about doing good work, their charm is uncontainable. via giphyHuge congrats to Joanna for getting her own spinoff, we CAN’T WAIT to tune in! In the meantime, total binge-fest of Fixer Upper? Yeah, us too.